Sun City Summerlin was built during the early phases of the Summerlin Master Planned Community. Dedicated to keeping seniors active, this age restricted community was built by Del Webb and completed in 1999. Sun City was built on 2,400 acres and has right around 8,000 homes and 14,000 residents. Age requirements state that all residential homes must have at least one owner/occupant who is at least age 55, and no home can have permanent residents under the age of 19. Homes range from 1,000-3,000 SF, and keeping seniors’ needs in mind, almost all of the homes are single story design. Sun City Summerlin boasts three golf courses; The Highlands, The Palm and Eagle Crest, designed by pro golfer Billy Casper and course architect Greg Nash. In addition to plenty of golf, Sun City also offers swimming pools, tennis and racquetball courts, all designed with active seniors in mind. Also included in this master planned community are restaurants, shopping and easy access to the Summerlin hospital. 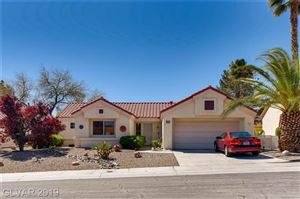 If you are looking for a laid back place to enjoy your retirement years, Sun City Summerlin real estate may be for you. If you are looking for something to do, you can always enjoy one of the 5 community centers throughout the development, all of which are easily accessible by car or golf cart. The Foster Beckman Group can help you find a home for sale in Sun City Summerlin! Our team of Las Vegas Real Estate Agents and home specialists at Foster Beckman Group are available to help you buy, sell or invest in Sun City Summerlin property. Call us today at 702-686-2695 to see how we can help you with all of your real estate needs!